Tara Parsons is a former elite rider and current VP of Rider Development at the New York City’s Century Road Club Associations (CRCA). USAC licensed coach with over 12 years of racing experience, she leads CRCA's clinics and coaching services, where she prepares riders to be safe, effective and fit. 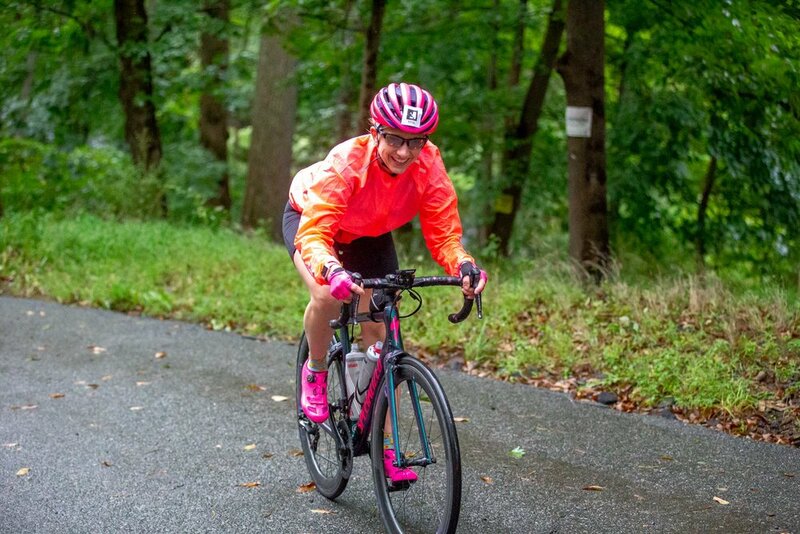 We sat down with Tara who spends her time between Morristown and New York City to get some tips that can benefit cyclists at all levels. Q. Tara, the new year is now officially upon us. Many cyclists make big decisions such as losing weight or up their milage before spring comes. What is the best way to ensure that we are setting achievable goals that won’t backfire and make us lose our passion to the sport? A: One of the best things to keep in mind when setting up new (especially big) goals is to work toward that goal gradually. Do not suddenly double or triple the mileage you are used to doing. This can quickly lead to overuse injuries which can be derail goals quickly. Q. What are the most important things cyclists should do to maintain their fitness during winter? A: Keeping up with some cycling base fitness is important so that once the weather turns nice one doesn't jump on the bike and overdo it. Some riders enjoy structured solo indoor training sessions, but if camaraderie is more to your liking, there are great options out there. You can stay home and ride with others virtually through Zwift, or you can take your bike to a computrainer/ trainer class, or, of course, you can go to spin classes. I caution those who only do spin classes in the winter though; a spin bike, with its flywheel, does not completely mimic a real bike, nor do some of the things that instructors have you do. If you do want to take spin classes to keep you on the bike in the winter, try to search out a spin instructors who are also a cyclists- there are many good ones! Besides riding though, winter can give you time to crosstrain and re-balance out your muscle groups. I suggest strength training with weights, yoga, and outdoor activities such as cross country skiing and snowshoeing! Q. Let’s say we were able to maintain our fitness by substituting some outdoor riding with indoor trainer and the gym, can we lose important skills during winter? Is there a way to maintain those skills? For example, bike handling? A: The thing that you will lose the most of is handling skills, especially if those weren't strong to begin with. You can combat that inside by using rollers instead of a trainer for indoor workouts, or just be aware of it and give yourself some adjustment time and work specifically on skill drills when you return to outdoor riding in the spring. Additionally, I do suggest trying to get outside on your bike a bit in the winter, perhaps once a week. It builds character! You can also use outdoor time on the bike in the winter to try different types of riding of which there are growing options: gravel, mountain, and fat bikes all make outdoor riding more enjoyable in cold weather. You move at slower speeds so the windchill from riding is less and riding in the woods helps shelter you from the wind. Q. What should a healthy winter training program look like? How many hours should an average rider spend training indoors vs outdoors every week to maintain good fitness come spring? A: It partly depends on the individual rider and their goals, but I would aim for at minimum two indoor trainer sessions during the week and one longer ride on the weekend, outdoors, preferably. The indoor sessions can be 45-90 mins, and the outdoor session can be 1.5-4 hours. Q. There are 8 months between now and Gran Fondo NJ 2019. What is the best way to think of training for a long term goal like a Gran Fondo? Should we divide the 8 months into certain blocks? What should they look like? A: GFNJ is a ways away, but now is the perfect time to set up a long range plan! I suggest picking out some other goals to help you stay focused between now and September 8th. Your goal events should build you up to the event distance that you have set up as your goal for GFNJ. For example, if you are planning to do your first Gran Fondo distance in September, choose an event in May that is half the distance, then another event in July that is about 3/4 of the distance, and then use that event to ramp up to close to the distance that you will be covering on September 8th. But, give yourself some time to recover from all of that training with an easier training schedule for a week or two before the big day. Speaking of rest, be sure that you are incorporating a rest day every week, as well as incorporating easy weeks along the way. While consistency on the bike is key, you want to build-in peaks and valleys into your training volume and intensity to get the most out of it. Another thing to consider to set yourself up for success is to train for conditions that you may encounter during the GFNJ. I know this past year it was quite an epic day with a lot of rain. Unless you are okay with just not riding your goal event, you should to be ready for anything. Purposefully go out on the training ride that you had planned when it is raining. You don't have to do this every time it rains, but do it enough that you are comfortable in the rain. Be sure to ride with groups as part of your training. You will be riding with 2000 other riders of varying ability during the GFNJ, so make sure you are comfortable on the road with other cyclists, know how to safely ride with them, give hand signals, and point out dangers in the road. Riding with others for the camaraderie and challenge is one of the great joys of cycling, so work on those group riding skills and have fun with friends! Gran Fondo NJ registered riders will automatically receive an invitation to our invitation-only Training Ride Series Training Ride Series where we ride the 18, 42 and 65 mile routes in the months leading up to the event on the actual routes you will be riding at Gran Fondo NJ.